We know that cracks are a major problem in concrete. It decreases the life of the structure and reduces its stability against earthquakes. From several years researcher’s are finding the answer to this solution. Well, there are so many techniques to fill the cracks ( and for concrete repair) but there is no proper solution to resist the concrete against cracks. Now, they discovered a new technique where a bacteria can repair the cracks formed on concrete. Well, there are many reasons for this question? To increase the setting time workers usually add more water to the mix which reduces the strength of the concrete. Eventually, it may lead to forming cracks on the concrete. 2. Plastic Shrinkage: It’s a one of the major cause for developing cracks on the concrete. In this Water evaporates quickly from the top of the surface. It causes the top of the slab to dry more quickly than the bottom, and they pull each apart. This is more likely to happen when it is hot, windy or there is low humidity. A provision in curing is the only solution for this kind of failure. 3. Cracks formed due to settlements: This type occurs when the ground under concrete settles. This is caused when the soil is poorly compacted. And if the ground has less soil bearing capacity. 4. Rapid drying concrete: It is the main reason. In the current scenario, we are starting a project with a proper planning but not including the calamities which occurs while doing construction and same submitting the last date of completion of a project to the client. If a project takes more than stipulated time builder has to pay the client in return. 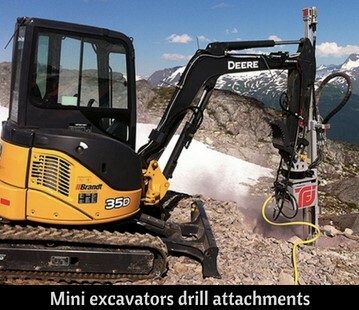 Take an example of excavation while doing excavation there is a chance of water coming from earth then we have to perform dewatering. Which is not included in the project planning. 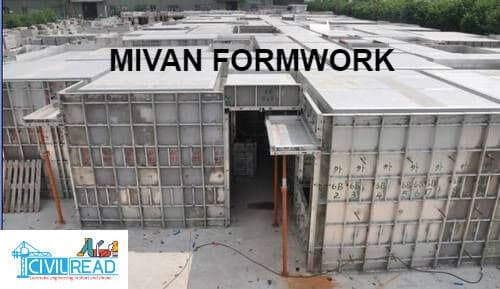 To balance the time wasted for dewatering builder minimizes time in curing and rapid drying of concrete. In turn, this may lead to forming cracks on concrete in future. and this type of concrete is repaired with some modern techniques but cost incur is very high. 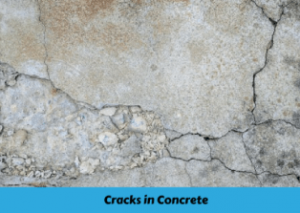 These are the main reasons for the cause of cracks in concrete, Apart from above, there are so many reasons for forming cracks in concrete. 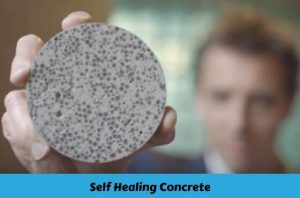 Now coming to our discussion does concrete heals itself with bacteria. The answer is yes! But how? Follow me! This all credit goes to Mr. Hendrik Jonker. He is a microbiologist. The idea came into his mind from human bones. Well, generally human bone can heal by mineralization and same he looked into whether a similar method can be used with the concrete. He found the bacteria named Bacillus pseudofirmus or Sporosarcina pasteurii, are found naturally near volcanoes, and they are capable of surviving for up to 200 years without oxygen or food. After forming cracks, the water enters into concrete which makes the structure distort. To get rid of this He mixed the concrete with the above bacteria and the bacteria is activated when it contacts with water. Bacteria use calcium lactate as a food source and produces limestone in a result which closes up the cracks. To keep the bacteria dormant until it is needed, it is placed in small, biodegradable capsules containing the nutrient. When the concrete cracks and water enters the gaps, it comes into contact with the bacteria and the food source, setting the healing process off. The bacteria then feed on the calcium lactate, joining the calcium with carbonate to form limestone, fixing the crack. Results proved that the process worked efficiently, and can even be added to a liquid that could then be sprayed onto existing buildings. Never Miss an update Click on “Allow US“ and make us allow or Click on “Red notification bell at bottom right” and allow notifications. Stay tuned! More are updated Soon!!. 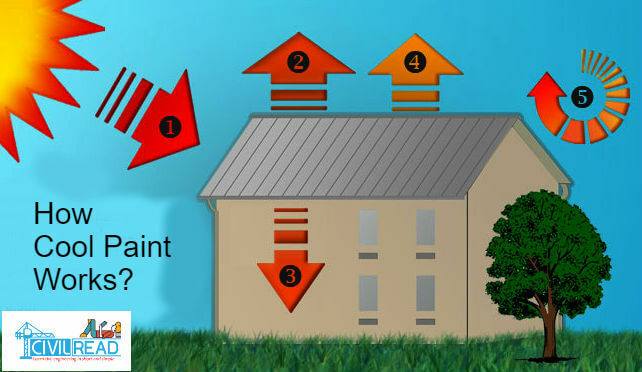 How the cool paint (Heat Reflective paint) on roof works?